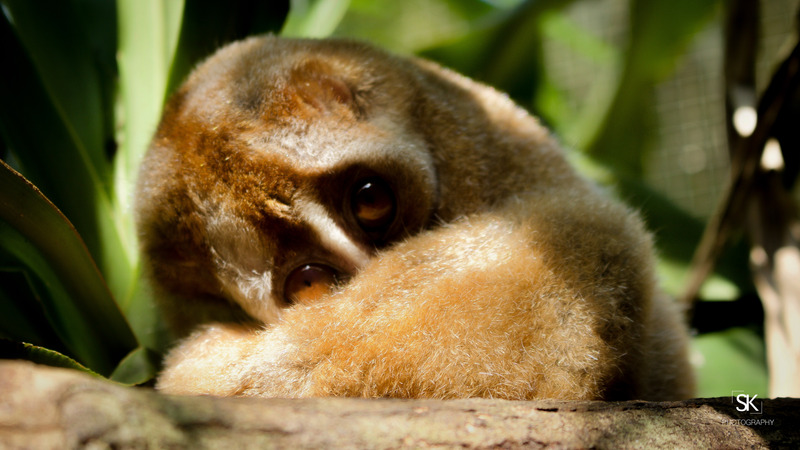 Javan Slow Loris (Nycticebus Javanicus) – Critical. Extensive habitat loss and fragmentation threaten the Javan Slow Loris throughout its range. This species, like other slow lorises in Indonesia, is caught for use in the pet trade and to a lesser extent for traditional beliefs and folk medicines. Slow lorises are the only venomous primates; to avoid their bites middle men or traders cut or remove teeth, a process that almost invariably leads to the animal’s death. If confiscated, reintroduction to the wild has proven difficult. Animals with no teeth are not viable candidates, and in a two-year study of 11 healthy radio-collared animals released, only two are known to have survived. (IUCN Red List).